All the services of a large hospital in an easy-to-manage, community hospital setting. 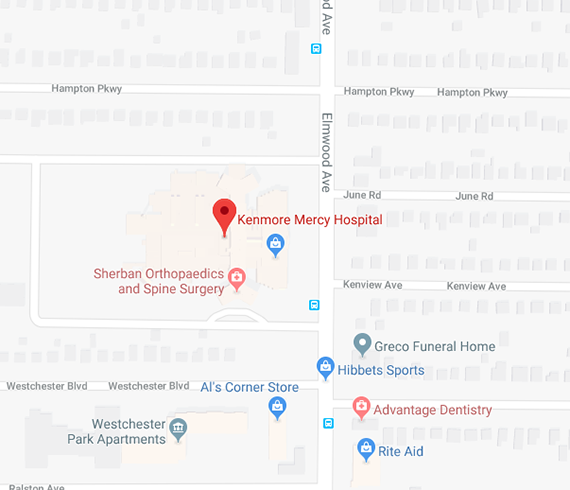 Kenmore Mercy Hospital is a community facility with all of the services and amenities of a large hospital. Kenmore Mercy received the highest rating from the Leapfrog Group for quality and safety. The only hospital in WNY to receive the Joint Commission's Gold Seal of Approval for joints. Kenmore Mercy has received national recognition for nursing excellence from the ANCC.